Back in December of 2011, I purchased a Motorola Photon 4G from Sprint Wireless. At the time, dual core CPU cell phones was all anybody was talking about. I wanted a candybar format cell phone with Android. My previous Android slider phone that had every imaginable problem related to the slide functionality (the screen wouldn't turn on/off when open, certain keys on the physical keyboard were non-responsive, etc). Aside from the faulty hardware of my previous phone, I loved Android. I did not want to pay a lot of money to get the latest and greatest (most marked up cell phone), so I decided on the Motorola Photon 4G, which cost me $100. Sprint had a tradeback program (even if the phone is broken), and I got $75 back. So the final total price out the door was $25. To get a full understanding of my review, I'll start with my cell phone plan, followed by usage examples, then my thoughts on the phone. I have been using the Motorola Photon 4G for about 21 months. During that time, it has gotten fairly high usage. On Sprint, I am on an unlimited data plan, so I liberally use data whenever I can. Even though Sprint's 4G coverage is VERY sparse in the SF Bay Area, WiMax works decently well along the Caltrain route. Sprint's WiMax coverage is so bad I often times keep 4G off until I need it to stream YouTube videos. Each month, I use about 4-5 GB of data on Sprint's network. On the workdays, I bike (approximately 12 miles/day) and take the train (approximately 40 minutes/day) to work. While biking, I listen to iHeartRadio and track my bike progress (speed and route) with Endomondo. At the train stop and on the train ride, I'm browsing the web, playing games (like Candy Crush), watching/listening to Podcasts, reading eBooks, or just listening to the radio. Just that bit will drain the battery to 60-70% remaining, so I have it charging at work. On the weekends, my Motorola Photon 4G is synced up with my Google Calendar to map me to places I don't go. It has become new grocery store shopping list, so I keep the phone handy while at Costco, Ranch99, Safeway, and Target. I end up using Google Maps Navigation more on the weekends, as I have a higher probably of adventuring to new places on the weekends (compared to workdays). If I go on hike, I use the EveryTrail app to not only track my route, but also record my speed and distance. Every evening, my Podcast app BeyondPod downloads the latest video and audio only podcasts. I have these handy for workdays I forget to charge my phone. With low power, I turn off my data connection, and listen to pre-downloaded audio. Overall, I love my phone. 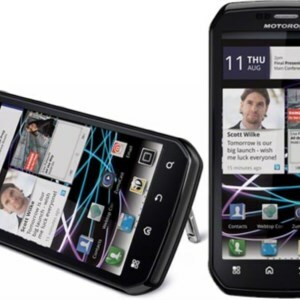 I do hate Motorola for choosing not to upgrade the phones Android OS. Being a dual core CPU phone, I felt it should have no problems supporting Ice Cream Sandwich (4.0). Instead, I'm stuck on Gingerbread (2.3.5). This means I don't get all the new Google features nor am I getting the new updated Google Apps. Honestly, I'm okay with it. 95% of the functionality in Gingerbread is likely the same, and it is not practical for me to pay $200 to get a phone for 5% new functionality. Even though I'm disappointed on Motorola's final decision not to upgrade (nor follow through with their free phone offer), at least my phone still runs fast and smooth. When I play Candy Crush (compared to the same game on Samsung Galaxy S4), the game on the Photon 4G runs smoother! I was on the fence (and almost) switched to CyanogenMod, but there was not an official release and the current releases would cripple features (like WiMax). I don't have a cell phone case, but the build of the phone has been very good. I have dropped the phone twice on concrete, and numerous times (lost count) inside the house. The phone is still in good working order. There are a few minor blemishes (due to everyday wear and tear), but none that has affected phone usability. Most of the blemishes appeared around the plastic edges of the phone, where the shininess of the plastic is scraping off. There are a few cracks around the charging port, but the cracks have not grown over time. All of the physical buttons on the side of the phone work as originally designed. Other than very obvious fingerprint marks on the main screen, the phone is fully functional. I really like the rubber back of the phone. Unlike previous smooth phones, having a bit of rubber helps the phone "stick" to the table. If someone where to accidentally bump the phone on the table, it creates enough friction to prevent the phone from falling to the ground. The built in kickstand is nice too (though I disabled the built in software). With the kickstand, I rigged up the phone to balance on my AC port in my car. The phone is secure to the car via the kickstand, and sit on a metal stand. This way, the phone is kept cool by the car's AC, and is in hands reach. Since my 2 year contract is coming to an end, I've started looking at available phones. I know I want Android, but I want one with at least Android Jelly Bean (4.1 - 4.3). The phone will likely not be the latest and greatest phone. I'm sure I'll be complaining about new Google Android feature I don't get when I don't get the latest OS. The hardware on the phone should be on par with average phones on the market. If one is available, I would want a vanilla (stock) Android phone. One without manufacturer and cell phone company modifications to the OS.